Gianluca Russo is an associate at Cleary Gottlieb Steen & Hamilton LLP, based in Milan. 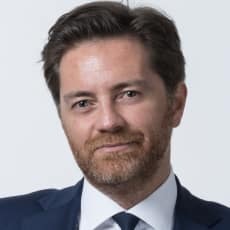 He graduated with honours from the Libera Università degli Studi Sociali Guido Carli in Rome in 2001, and received an LLM in international taxation from the New York University School of Law in 2006 on a Gerald L. Wallace Foundation Scholarship. He is a member of the Bar in Rome. Mr Russo is the author of several publications in Italy and abroad on various taxation and executive compensation matters. Mr Russo’s practice focuses on compensation and benefit matters, including executives’ compensation, the benefits aspects of mergers and acquisitions and the tax implications of employee incentive plans. He also regularly advises on Italian and international tax issues.